Tips for Managing Diabetes While visiting Disney World! With a little pre-planning you can have a wonderful time at Disney World while taking great care of your health at the same time. In addition to my own contributions to this article as a Type 2 diabetic, we got input from a number of awesome Disney World fanatics. They include Disney Genius and nurse, Sue Mickelson; Mike Tuchman, a Disney Cast Member, long-time diabetic and Disney expert; and Kevin Keen who is an 18 year old type 1 diabetic and Annual Passholder. A big thank you goes out to all of them! Remember that we’re not doctors, and you should discuss your trip to Disney with your doctor to get specific recommendations. Check out this site’s disclaimer before reading this article. 1. Wear or carry some kind of health alert identification while at Disney World. This would include medical jewelry such as a Medic Alert bracelet or necklace that identifies that you’re diabetic. Medic Alert stores your health information so it can be accessed quickly in an emergency situation. 2. Plan in advance for how you’ll manage your medication and equipment while at Disney World. Always label your equipment, and include your contact information on it, including your cell phone. Wherever you are on Disney property, don’t leave your medical supplies in an ECV or stroller. In the parks, keep them in a bag that you can easily take on the rides with you. Read the Managing Medication & Medical Supplies While at Disney World article here. You’ll find extensive info on how to manage your medicationss and equipment as you travel to Disney World, and once you’re in the parks and resorts. 3. First Aid stations in the parks are a great place to handle your health needs. 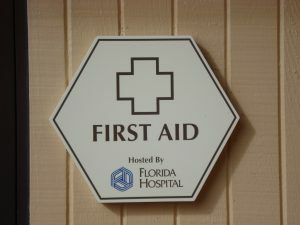 Each park has a First Aid location. 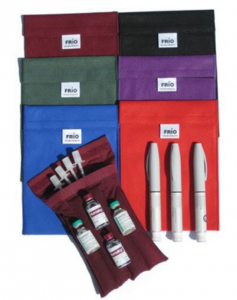 They offer a private place for you to test your blood sugar, take insulin shots and manage your insulin pump. You may want to store your medication there also, but read below to see other options that may be more convenient. First Aid has a sharps container available, although you’re responsible for bringing your own syringes. 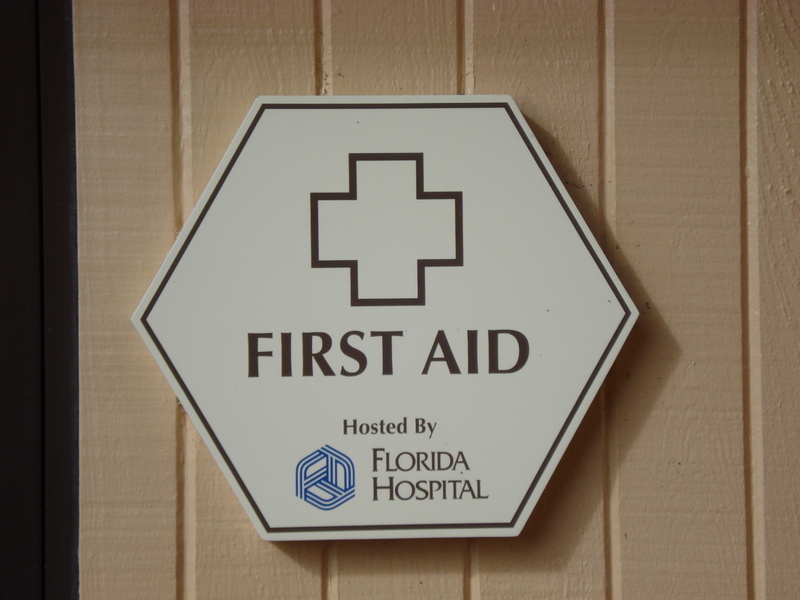 Read more about First Aid Stations in the Disney World Parks here. 4. Keeping your medication cool can be done in a couple ways. Although you can have insulin and other medication refrigerated at the First Aid stations in the parks, you may find it inconvenient to keep going back to that location. An alternative is to bring a small cool pack so that you can carry it with you, however on really piping hot days, it may be safer to use the refrigeration in the First Aid Station. For cool packs, one of our Disney guide book contributors, Mike Tuchman, recommends the Frio Insulin Cooling Wallet. He says that they’ll keep your insulin at insulin-safe temperatures in over 100 degree weather for about two days. They recharge with plain water. He owns two of these and thinks they’re great for Disney. There are several other small insulin cooling cases available on Amazon (and throughout the web) that appear to have good user reviews. For example the Fridge-To-Go Portable Insulated Medical Travel Cooler Case. Just search Amazon or google with the term “insulin cooling case” or something similar to find various options. In the resorts, all Disney rooms have at least a mini-refrigerator. At times when we’ve arrived we found the temperature to be on the warm side. Sometimes this is just because housekeeping cleaned it before we came, and they had the refrigerator door open while cleaning. If yours doesn’t cool up quickly, contact the front desk and let them know. They can send someone over to either adjust the temperature or switch out the refrigerator. If you need it, Disney can store your medications for you in a refrigerator until yours is ready to be used. By the way, you can also request a container for sharps from Disney housekeeping. 5. Your insulin needs may change at Disney World, so plan in advance. Discuss the possibility that your medication needs may change during your tip with your doctor prior to your visit. Request strategies for managing your medication with him/her. While at Disney, and especially when you’re in the parks and Disney Springs, pay extra attention and look for signs of changes in blood sugar. Consider testing your blood sugar level more frequently than you normally would. Since you’ll be testing more, be sure to bring extra blood testing supplies.If you make changes to your normal dosage, check both before and after to make certain it’s the appropriate dose. Excercise can reduce your insulin needs – The Disney parks are HUGE, and if you’re walking rather than riding in a wheelchair, you’ll be walking miles. Remember that your insulin requirements may go down from the exercise. Heat can affect your insulin needs – Florida has plenty of heat! The summer months are brutally hot, but you can experience warm days throughout the year. The heat can be magnified when you’re walking in sunny areas throughout the parks, or waiting in the sun in an unprotected queue. Read the article called Managing Sun & Heat Sensitivity While at Disney World here. Adrenaline can affect your insulin needs – At Disney you’re likely to produce more adrenaline than normal because of all the excitement. Thrill rides will especially cause a huge increase in adrenaline. Electromagnets – Some pumps recommend that you disconnect them on rides that use powerful electromagnets as well as on rides that create high gravity forces such as roller coasters. Check the manual for your pump and talk with your doctor before traveling. We hear that some manufacturers won’t honor the warranty if you’ve worn your pump on a roller coaster ride, so if this is not addressed in your manual, you may want to call your manufacturer to get their policy for your pump. According to our last check with Disney’s Services for Guests with Disabilities, on the rides you should not experience electromagnets that are higher than you would experience in everyday life. They’ve done tests and feel that the magnets are far enough away from the guests to not be of concern. If you still want to disconnect on the rides that use them, I was told that the Cast Member Hosts at each attraction should be able to tell you if magnets are in use there. Turbulence on Rides – Disney’s Services for Guests with Disabilities warns that on many of their rides you’ll experience high turbulence. These rides are considered “Big Thrill Rides” and post warnings at the ride entrance. You can always talk to the cast member at the entrance to the ride if you have questions about the level of thrill, but we suggest that you take the posted warnings seriously. If you choose to take it on turbulent rides, be sure to take the precautions recommended by your pump’s manufacturer, and always make sure your pump is secured. Wet rides – If your pump is not waterproof, be sure to protect it before going on rides that splash guests. Contributor 18 year old Kevin Keen wears an insulin pump when he visits Disney. It’s waterproof, so he’s able to go on any of the wet rides such as Splash Mountain in Magic Kingdom. He’s also able to go on turbulent rides and roller coasters with no problem. Rock ‘n’ Roller Coaster, which turns you upside down, is one of his favorite rides. He just disconnects and secures his pump to make sure it won’t fall during the ride. According to Kevin, none of the rides have adversely impacted his insulin pump. Dehydration is more common in people with diabetes, even when warm temperatures are not a factor. Spending an entire day at the parks, especially in warm weather, makes the risk of dehydration even greater than normal. Be sure to keep hydrated, take breaks in an air conditioned environment, and check your blood sugar regularly. To reduce your expenses, bring water with you to Disney, or use a delivery service to have water brought to your hotel. Gardengrocer.com is popular. You can also get free water at any Disney soda fountain. All of the counter-service restaurants will give you free cups of ice water. You can also bring your own sugar-free electrolyte drinks into the parks as long as they’re not in glass bottles. We purchase Nuun Active Hydrating Electrolyte Tablets on Amazon. They’re easier to carry than bottles, taste good, and they’re low calorie, low carb, low sugar, with no artificial flavors or colors. 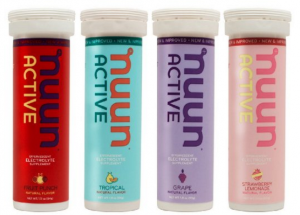 They use plant-based sweeteners, and they’re certified gluten free, vegan, soy and dairy free. 8. Strategies for your diet. Should you stick to your diet? Absolutely – Maintain your regular diet as much as possible. 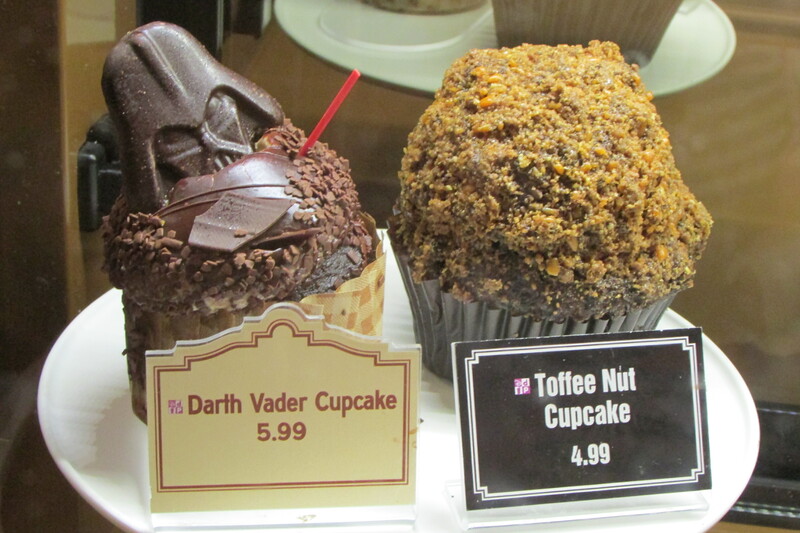 I and all our contributors agree that it’s really important to maintain a healthy diet while at Disney World. There are so many options and so much support at Disney that it’s very possible to keep your special diet while at Disney, and it’s best to maintain the diet that you’ve found works for you. Although diabetics can adjust their medication for increased amounts of sugar and carbs, sticking to healthier eating to guard your long term health is wise. Also blood sugar problems can arise if you’re not careful, and it would be a wasted day to end up sick in the park. Despite the many food temptations at Disney, it’s best to avoid giving in. If you must give in, keep it to a minimum, and be sure to compensate with your medications. Personally I (Stephen Ashley) control my blood sugar with diet and supplements. I’ve found that it takes some self control not to go hog-wild with all the tempting treats available. However with all the miles I walk there, I find that I’m able to indulge in an occasional treat without experiencing any problems. Whether you can indulge or not, and how much wiggle room you have, should be discussed with your doctor prior to your trip. Scheduling your meals: The American Diabetic Association recommends that diabetics should always try to stick to a regular eating schedule. While at Disney, try to eat meals and snacks at your regularly scheduled times to keep your blood sugar even. Counting Carbohydrates and sugar grams – Disney restaurants won’t be able to give you carbohydrate counts. If you must count carbohydrates, you should be able to see an ingredients list. You may wish to bring a carb count guide so that you can estimate. Avoid sugar and refined carbohydrates – Those with blood sugar disorders should usually try to avoid sugar and refined carbohydrates such as white bread, potatoes and cake. If you feel you must indulge and you’re not sure how that will impact your medical condition, speak with your doctor about it prior to your trip. Once at Disney, monitor your blood sugar if this is something you must watch, and modify your medication per your doctor’s prescription guidelines. Pick your cheats (if it’s allowed by your doctor) – If you do plan on including refined carbohydrates and sugar during your visit (make sure it’s approved by your doctor), try to keep this to a minimum and plan to eat healthy as much as possible. Pick your “cheats” carefully so it’s worth it. An occasional indulgence is better than an unhealthy non-stop junk food strategy. If you do eat sugar and refined carbohydrates, try to eat them along with some protein and healthy fat such as the kind found in nuts or seeds. This can help keep your blood sugar more even. Bring healthy snacks – It’s a good idea to carry your own healthy snacks such as protein bars. If you’re a chocolate lover, a good high protein low sugar bar can help you stick to your eating plan and solve cravings. 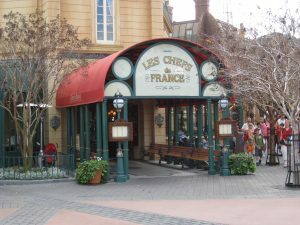 Sometimes snack locations and restaurants open later and close earlier than the actual parks hours, so you may not always have easy access to food. You may also spend time somewhere in the park that doesn’t have easy access to food, such as in an attraction queue. Keep a snack or drink handy in case your blood sugar drops and you’re not able to access food immediately. Full Service Restaurants can really work with you. 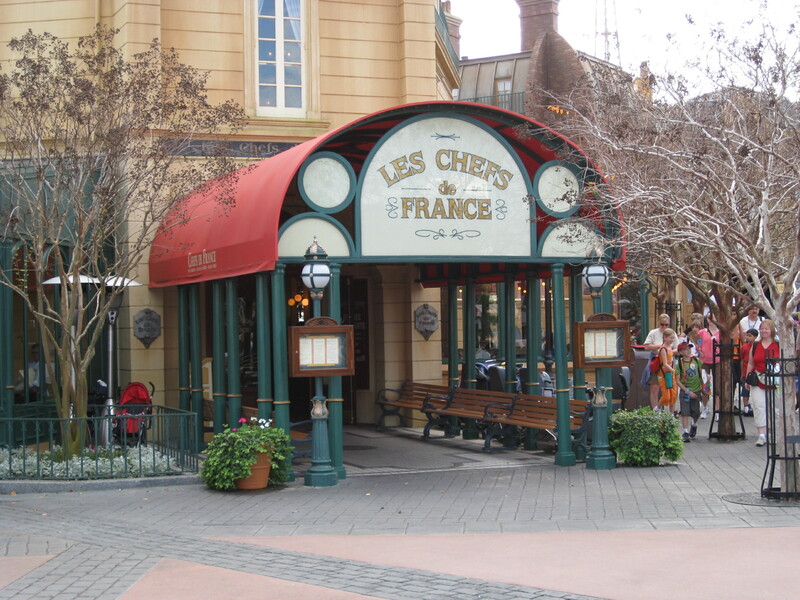 You can request that the chef or manager come out and talk to you about your options at all full-service Disney-owned and most non-Disney-owned restaurants on Disney World property. At Counter-service restaurants a manager can come talk with you, and they can show you the ingredients book, but there’s usually a lot less flexibility. However Disney tries to make healthy choices available at almost every restaurant location, so you should be able to stick to your diet wherever you go. 9. Avoid and handle blood sugar drops. Disney is infamous for long lines and waits, even at the counter-service restaurants. I strongly advise that you keep yourself from getting into an emergency situation by planning and carrying what you may need. If low blood sugar is an issue, carry items that will raise it quickly such as glucose tablets or juice boxes. 10. Be careful with sugar-free or no-sugar-added options. Sugar-free foods often have a lot of carbohydrates. Maintaining blood sugar often requires watching both carbs and sugar. No-sugar-added food can still have plenty of sugar grams and carbohydrates. Some alternative sweeteners have side effects such as bowel issues, so be cautious and choose your food wisely. That’s not fun. Everyone is different so it may not bother you at all. For me, some sugar-free items tend to cause stomach problems and some don’t. It simply depends on what it’s sweetened with, and the quantity of sweetener. Since it’s difficult to know in advance which things will cause a problem, I tend to stick to small amounts of these treats. If you’re trying something sugar-free for the first time, use caution. You may want to try a couple of bites and if possible, take the rest back to your hotel with you. If you’re fine, you can more later or the next day. 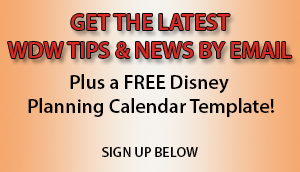 More Tips for handling diabetes at Disney World from our DizKin (Disney family)! We have a wonderful Facebook group called Walt Disney World Made Easy for Everyone. We call ourselves DizKin, meaning Disney Kin or Disney family. Many of them love to share tips and answer questions. Here are a few of the tips that were shared so far. Please feel free to share your own tips in the comment section below. Have you or someone in your travel party managed diabetes at Disney World? How did it go for you? Was anything difficult or easy about it? Please read about affiliate links on this site here.